We are using CMYK (cyan, magenta, yellow, and black) for custom printing on mouse pads, playmats, counter mats and others custom items. When you send an image or photo as RGB mode, our designer will convert it to CMYK mode. 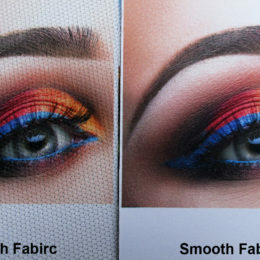 CMYK printing is the standard in the industry. 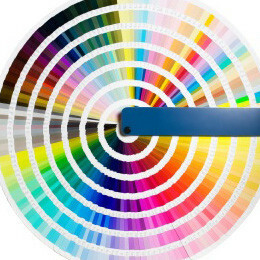 The reason printing uses CMYK comes down to an explanation of the colors themselves. CMY will cover most lighter color ranges quite easily, compared to using RGB. However, CMY by itself can't create very deep dark colors like “true black,” so black (designated “K” for “key color”) is added. This gives CMY a much wider range of colors compared to just RGB. 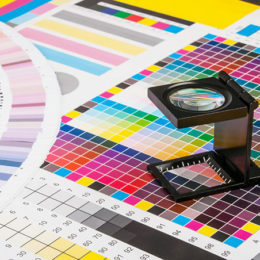 The use of CMYK (cyan, magenta, yellow, and black) for printing has become kind of a trope for printers. 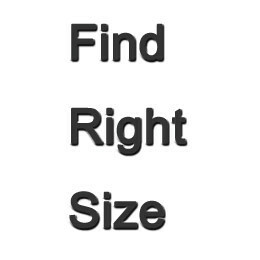 But the reason why printing uses CMYK isn't that well known, even to many graphic designers. When you are planning to custom a rubber mat for your table or desk, we may need to know cutting rubber material size and print size. Each manufacturer will have different size limitation of cutting size and print size due to they have different cutting or print machines. I will list of cutting rubber materials size and print size as below: Cutting rubber materials size Guide Why the cutting size is larger than print size? As you know, most printers have their print size limitation on X and y axes. Custom print size guide If you want to custom very long black rubber mat, such as 126 inches or the longest rubber mat in world if you want. Please see the very very long black rubber mat below: If you have any question about rubber materials we use, please read our rubber material introduce. Do you need a custom mouse pad in L shape? 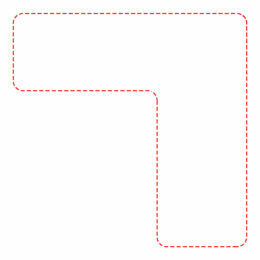 Do you have custom Mouse pad in ''L'' shape ? We always met such questions to ask custom L shape mouse pad for the desktop. 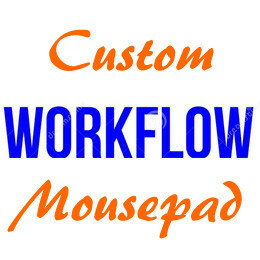 Yes, we can custom L shape mouse pad or irregular mouse pads per your desktop sizes or outline. Before start to custom shape, you need to measure your desk or table top sizes by ruler. This example shows the custom L shape mouse pad with custom printed wood texture. 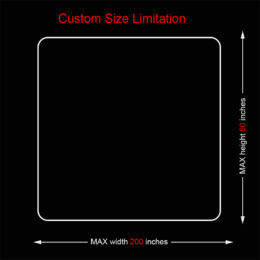 It's simply to custom your own L shape mouse pad per the desktop sizes offered. Notes: Any materials and printers have their limitation with their size scope. 1, mouse pad materials size limitation 2, Printer printing size limitation Custom own L shaped mouse pad now! How to shorten the time of inquiry the mouse pad? How to get right size of the mat? The standard size of custom mouse pads: Custom Mouse pad categories Large size(mm) Extra Large(mm) Giant size(mm) 400mm x 300mm 440mm x 270mm 500mm x 300mm 600mm x 350mm 600mm x 400mm 650mm x 350mm 650mm x 400mm 700mm x 300mm 800mm x 300mm 800mm x 400mm 800mm x 500mm other Larger sizes Thickness optional: 2mm - 5mm Large size mouse pad templates Mouse pad Size Templates download link Files Type 300mm x 250mm400mm x 300mm download linkdownload link PSD 440mm x 270mm download link PSD 500mm x 300mm download link PSD 600mm x 350mm download link PSD Extra Large size mouse pad templates Mouse pad Size Templates download link Files Type 600mm x 400mm download link PSD 650mm x 350mm download link PSD 650mm x 400mm download link PSD 700mm x 300mm download link PSD Giant size mouse pad templates Mouse pad Size Templates download link Files Type 800mm x 300mm download link PSD 800mm x 400mm download link PSD 800mm x 500mm download link PSD Others How to use the artwork template: If you want to know more about " how to create artwork? ", please click. 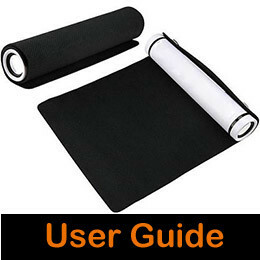 Rubber MousePads User Guide Thank you for choosing the custom rubber mouse pad. The rubber mousepad is made of top fabric surface with printing and natural rubber bottom with non-slip texture. which is soft and flexible. Start to use 1. Clean your table and make sure no sharp stuff on it. 2. Remove the mouse pad, flat on the desktop. 3. Gently smooth mouse pad, remain flat. Note：Mouse pad may tilt or uneven edges, this is a normal phenomenon, please keep on a flat surface, or with books press on the tilt part one night or more。 Cleaning and maintenance 1. Wash the mouse pad in water using mild detergent. 2. Rinse thoroughly, hang and allow to dry out of direct sunlight. 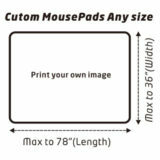 When you want to make a custom mouse pad, please consider the mouse pad size you want. Then submit your artwork to us. After get your artwort, our staff will check it and reply you about the mouse pad like. We will make custom production when both party agree the artwork. It will take 3-5 days in custom production, usually it will be a shorter time. When the custom mouse pad is done, we will send you the mouse pad photo to you to view the exact mouse pad. Both parties agree, we will start the delivery via the way you choosed. Please read below workflow chart for every details: Remark: Regarding POST AIR MAIL delivery time, it may take more than 3 weeks on the way. 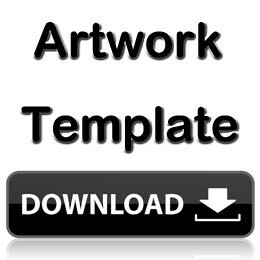 We offer free editon of your artwork of custom mouse pads. We will edit the artwork to meet the mouse pad size and send it to you for approval before production.